London, England – Serena Williams put on a historic performance today as she won her seventh Wimbledon title, defeating Angelique Kerber 7-5 6-3 with 13 aces. This victory gives her a 22nd grand slam title, tied for the most all-time. 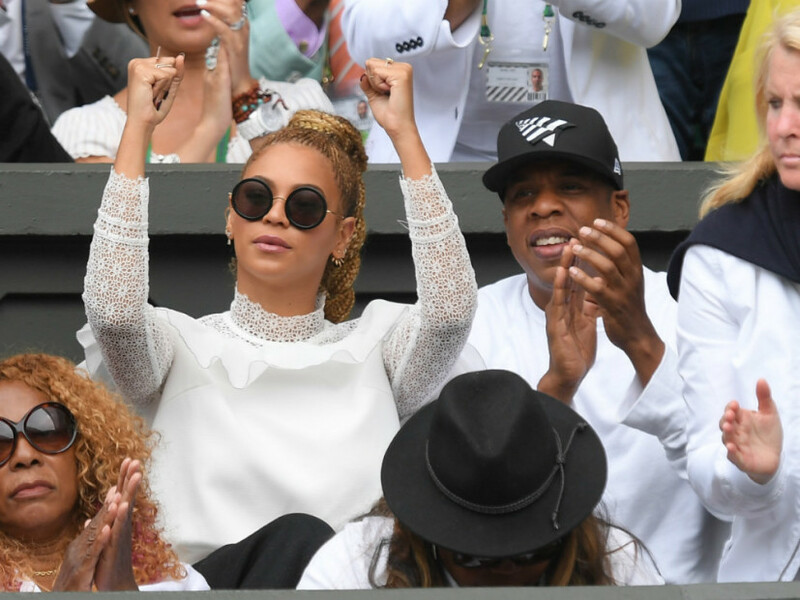 Jay Z and Beyonce were guests in the superstar’s players box to watch it all go down. Beyonce featured Williams in the video for “Sorry” off her critically-acclaimed LEMONADE album. The tennis player said that Queen Bey gave her advice to just let loose as she twerked in the visual. Williams previously lost to Kerber at the Australian Open in January and described what went differently in the rematch.